I will be showing three paintings in the “33” gallery show, along with 32 other artists, at The Old Orchard Gallery 39 S. Old Orchard,Webster Groves, MO This show is sponsored by MySLART.org. The show opens Friday June 29 from 6-9 pm This is one of my paintings in this show. I hope you can attend. 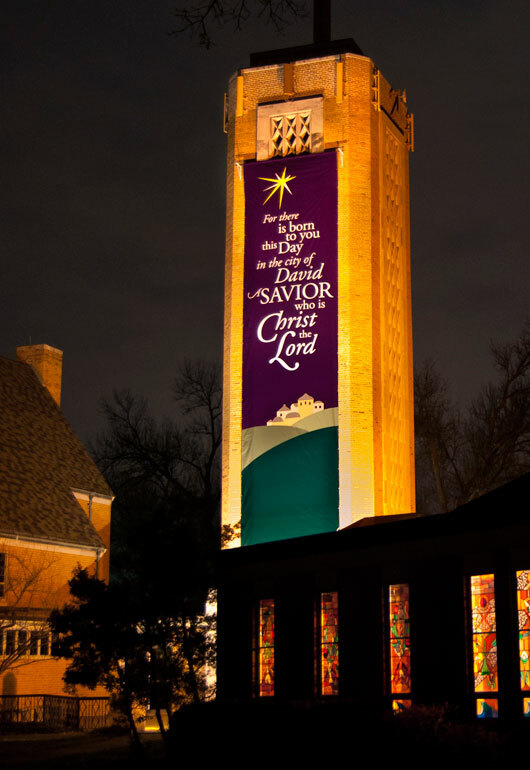 Merry Christmas from Webster Groves Christian Church (Disciples of Christ).